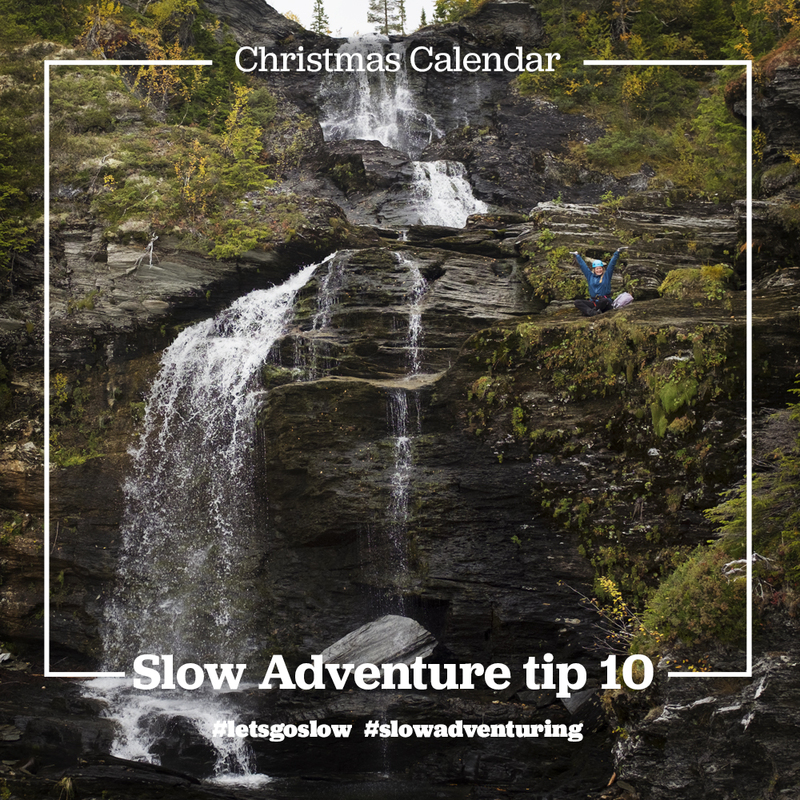 This blog post is a collection of Instagram posts published on the @letsgoslow.blog and @slow_adventuring instagram profiles. 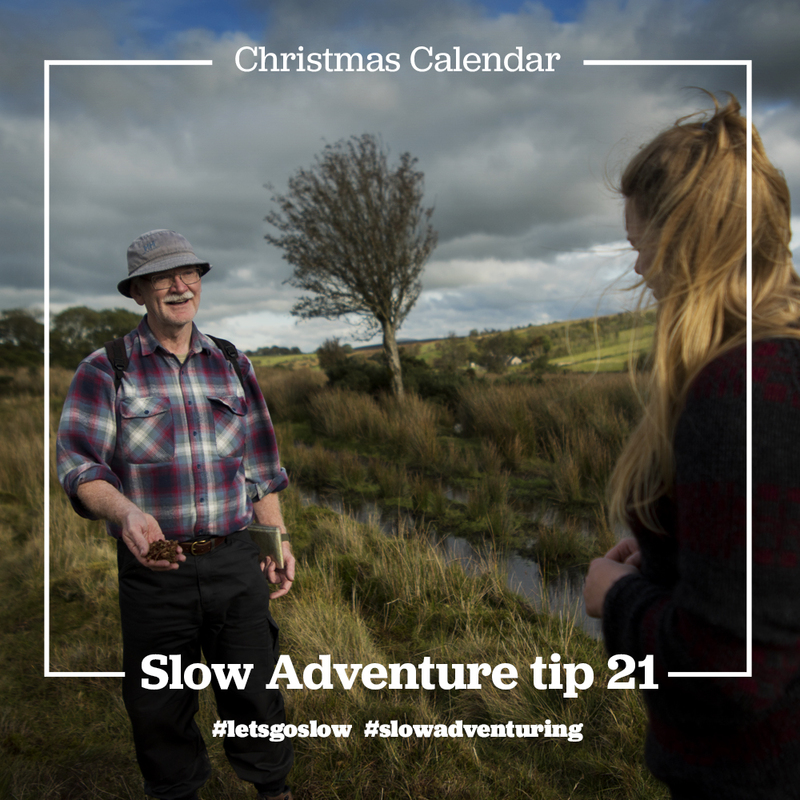 We hope you'll like this collection and that you find some of the tips useful for planning your own slow adventures! 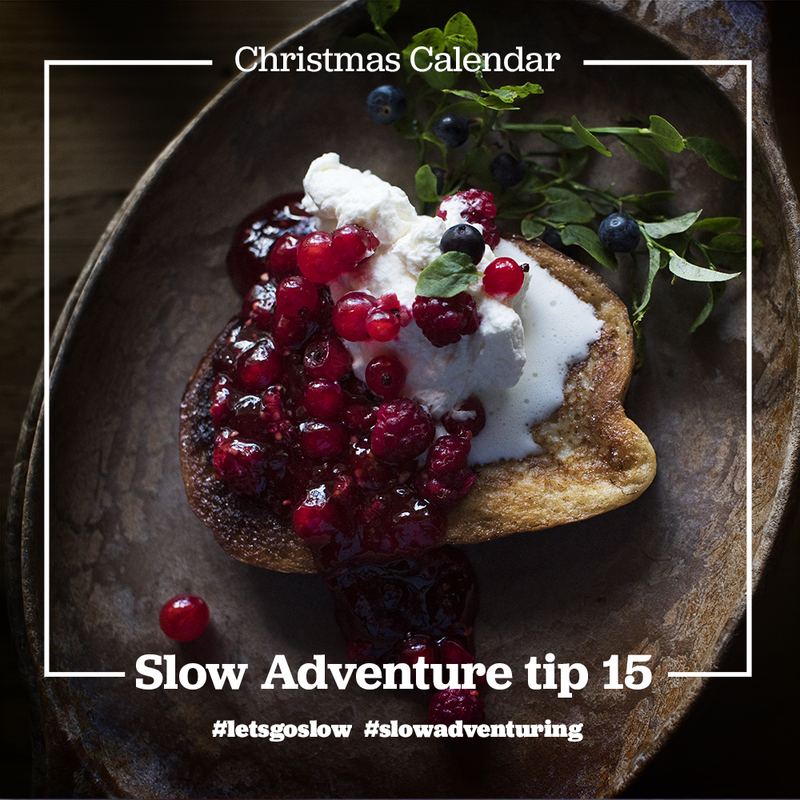 Let's Go Slow into the New Year and Merry Christmas! Your best chances to see the northern lights are when your surroundings are pitch black. In other words when there is no light pollution. It can therefore be a good idea to travel north before snowfall and the ground is white. Traveling to see the northern lights before winter also saves you from long freezing nights staring at the sky! The craft beer revolution has taken Scotland by storm, fuelling their traditional pub culture with more tasty alternatives! Historically the Scots made and drank Ale and if you are up for a mix between history and new trends check out the @isleofskyebrewery ales! Watching the glacial ice on Iceland is like watching time. The endless ice is ancient. It's almost impossible to image how the world has transformed in the same years. If you have the time (take time! ), sit still and just gaze. Look at the ice, at all the colours, the shapes and vastness of it all. Don't rush past, take your time. 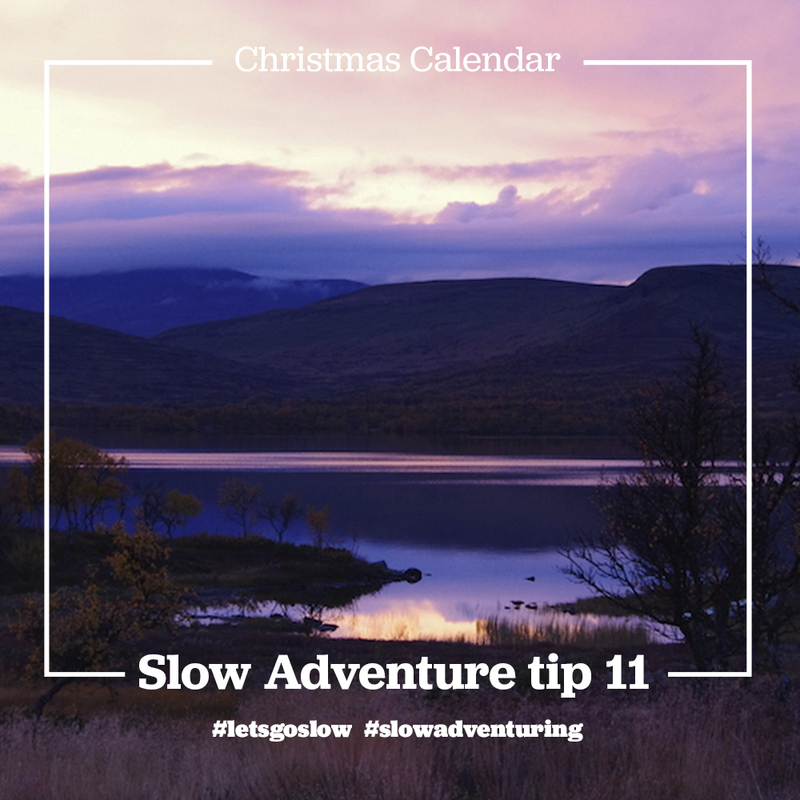 Slow Adventure tip 6 - Finland's 100th anniversary! The Finns achieved independence on December 6, 1917! So, today we celebrate their 100th year as an independent nation with this picture from Hossa National Park. #hossanationalpark is the 40th National Park in Finland and was given to the people of Finland as a 100th anniversary gift this summer. We went canoeing on the Julma-Ölkky Canyon Lake and it was amazing! Rent your canoe at the Hossa National Park visitor center. At The Organic Centre in Rossinver, Ireland, Hans showed us a beautiful Hawthorn. @theorganiccentre_rossinver you can pretty much learn everything there is to know about Irish plants (yes that might be an exaggeration, but that's how it felt). 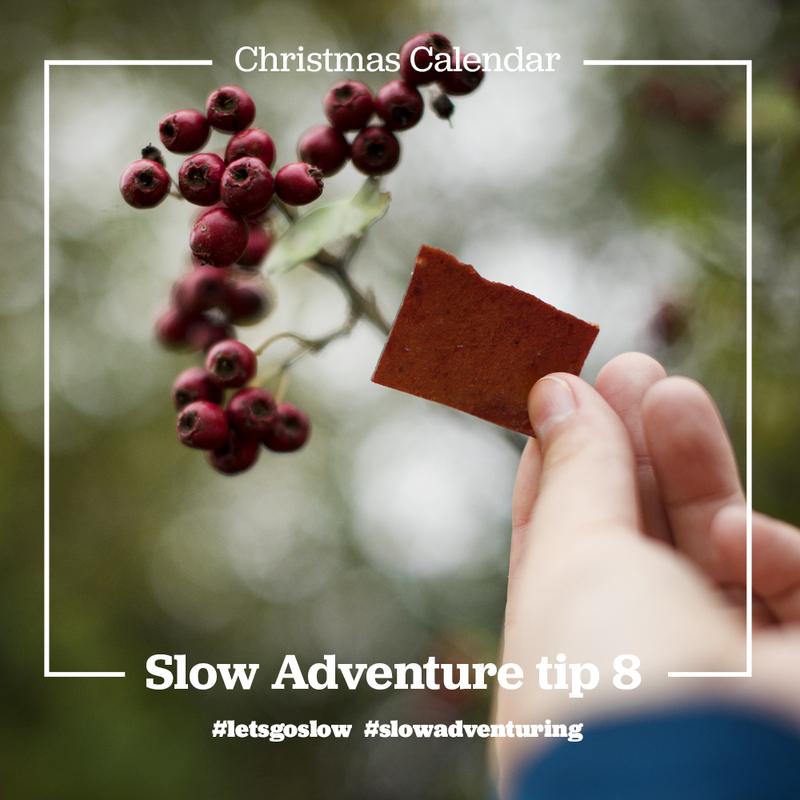 On a foraging tour with Hans we got to taste his homemade Hawthorn Berry Fruit Leather, made from the beautiful Hawthorn. If you are like us and would like to bring nature home, try out this recipe that we got from Hans. The recipe was created by: Gaby Wieland, Neantog Kitchen Garden School. Since the first time we went to Scotland, Thea @letsgoslow.blog has been yearning to photograph a highland cow. Not from the car or from the side of a field, but to photograph them properly. Just like how you would take the portrait of an old man. This year Thea finally got her highland cow photo! Wondering through the hills on the Isle of Canna, we found ourselves on a field and there they were, all relaxed, fuzzy and cool. Todays tip to the keen slow adventure photographer is: Don't rush, the perfect photo will come to you and for all the times it didn't, just enjoy the fact that you got to see amazing animals! Waterfalls are for many people considered a must see when they visit Norway. There are a number of famous waterfalls like #kjosfossen, #vøringfossen and #mardalsfossen, but if you'd like to visit one of Norway's hidden gems we recommend #sisselfossen in #lierne - It's 130m high and because of our local guides we got to be right in it! Thanks @wildnorway @arcticjan! Sweden has thousands of nature reserves, 29 national parks and autumn is definitively the best time to go and explore them (national parks and nature reserves cover a tenth of the country’s land area)! With a cooler temperature hikes become longer and plentiful berries, mushrooms and autumn colours will make each hike feel different. We love foraging, it is very calming to wonder among the trees looking for something tasty to bring home. In August the Finish forests are full of berries and during our stay at the #isokenkäistenklubi Katja and Sirpa made us this french toast with red currant, wild raspberries and wild blueberries (and som whipped cream!! ), It was delicious! You can find all of these berries in the Nordic region. Leka is one of Norway's most spectacular islands, and cycling around Leka, is the highlight of a cycle trip on the Norwegian #kystriksveien (one of the World's most beautiful roads according to @natgeo). The west side of Leka is like coming to another planet - It's the only place in the Norway where you can make a geological journey to the interior of the earth! Traditional nordic hunting is not always about the biggest catch, some days it's about enjoying it to the fullest, and there is nothing more enjoyable than a midday snooze in the heather. Go slow, follow your connection to nature and just be. The natural ice caves are constantly changing. The ice moves and melts letting the caves change daily in a slow dance. The first of its kind in Ireland, the Shannon Blueway is an innovative and easy to use series of on-water and land based trails. The new water ways are a great way to see the Irish landscape, towns and little villages that are connected to the canals, making it easy to include a quick stop at a local cafe or shop at the end of your trip! Walking through the Northern Irish landscape is calming in itself. Landscape appreciation reveals the signs of geo-history, inviting all your senses to appreciate what you might otherwise miss. The secrets of cooking on the open flame were revealed to us at Helekuta Hut in #kuusamo, Finland. There is an old tradition in the Kuusamo region to cook seasonal, local fish or salmon over scorching embers. Katja and Sirpa runs the family business @isokenkaistenklubi and together we enjoyed a full day of cooking in their traditional Lappish hut called a "Kota". Landing our kayak on a remote white beach in Scotland, was one of the highlights of 2017! Isle of Canna is a kayaking paradise, with high cliffs, wild birds, two seal colonies and white sandy beaches. On a weekend kayak trip with @arisaigseakayakcentre we got to practise paddling in various condition (due to the crazy Scottish weather!!!) and Mike was always there to help us and make us feel safe! Thank you for following our Christmas calendar! 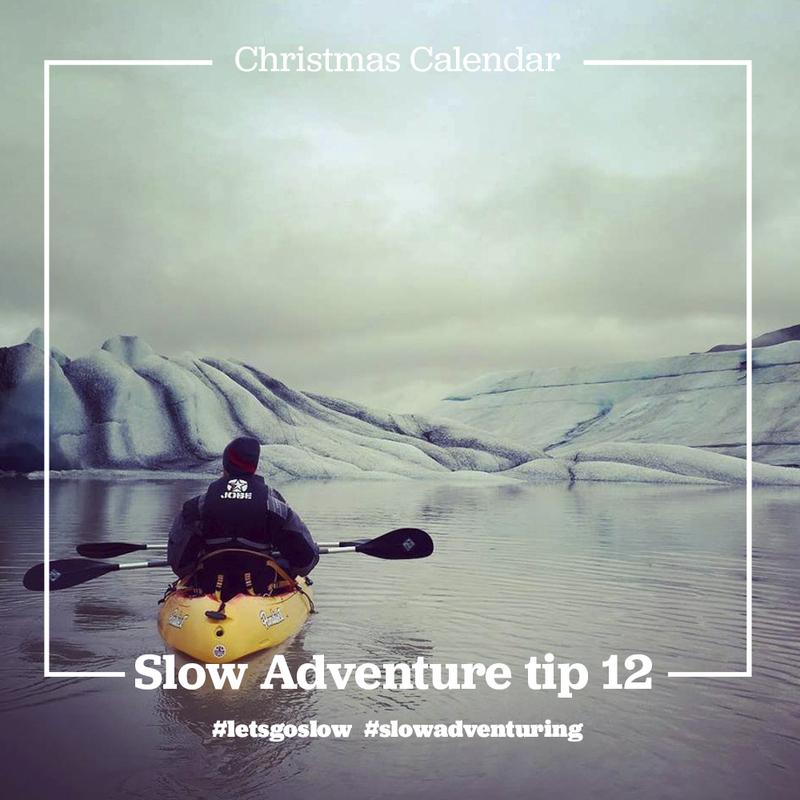 Slow Adventure is about slowing down, shifting our focus away from time and adrenalin to honesty and authenticity. Hopefully we'll inspire you to do the same, Merry Christmas!